Garnishments are legal orders instructing an employer to withhold pay from an employee’s wages to satisfy a creditor debt incurred by the employee. The university is required by law to process and deduct the amounts indicated on garnishment orders (Writs of Garnishment), based on specific calculation guidelines. Any questions in regards to modification or release of the garnishment should be directed to the agency or attorney issuing the wage assignment. Only the issuer of the garnishment has the legal authority to modify or release your garnishment. 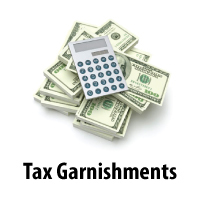 Any garnishment modification paperwork can be faxed or emailed to Tax Services at (801) 587-9855. You may wish to consult your attorney regarding any changes to your garnishment. Please feel free to contact Tax Services with any additional questions. Please make checks payable to The University of Utah.